Work for Microsoft Power BI Desktop? Learning about Power BI Desktop? "Love the User Interface Design Options"
What I like best about Power BI is that they are constantly (monthly and even in between) making updates, adding new features or upgrade to current features and functionalities. They really seem to listen to the user base on feedback, wants and needs. That I cannot insert or use custom fonts. Some of the ways that you can or have to enter the Queries, however I am still learning that art of Power BI so that may change as times goes on. For others considering Microsoft Power BI, I would recommend watching a few videos and visiting the Power BI website to get familiar with Power BI. It may look a but overwhelming at first, but just like any other product you will get used to the functionality and different options. We use Power BI to bring clients branding look and feel into the platform to utilize from executives and end users. We are able to utilize the dashboard features that is highlight beneficial for man cases. "Great when you get used to it :)"
We use PowerBI Desktop for managing users for one of the .NET projects - the level of filtering is great (especially for our low-level needs). The latest version has colorful data visualization options which are convenient for reporting and we have used those for our project. It also can work with Excel data sheets and other sources of information which makes it a convenient instrument for data management in general (not just for user database, like we use it). Like with most Microsoft products, there are sometimes too many features that are overwhelming at the very beginning when you first create an account (and you're not a developer whose minds seem to think in a different way. It takes a bit of practice to get used to it, but in general, it does what it's supposed to. From what our developers have said, it is very convenient for user management for projects that are either written using .NET technologies or are integrated with other Microsoft products. It's also easy to create visual reports which are convenient when you need to present the information to your boss (or investors - or pretty much anyone) and Excel or PowerPoint visualizations aren't enough. "All your data in one place and beautifull dashboards for your organisation!" It has a lot of built-in integrations with different types od databases, marketing solutions (Google Analytics, Google Adwords). You can get and visualize a lot of data from different sources and share it with your colegues, partners and so on. Updates are every month. User also can share with his reports or controllers and you can use it on your own project, It's working as reports on your browser or as PowerBI Desktop file. You can edit and share reports or grab data online. It's not cheap one, however cheaper than competitors. It's dometimes difficult to share reports with somebody outside of your organization. Pricelist is difficult to understand. NO matter if you are huge comapny or small business - it's one of the easiest BI software to use! Preparing dashboards for managers, employers, making business decisions are easier if you have all data in one place. It's very flexible and it's still developed (updates are made every month). "Economic player in interactive visualization and analytics"
The tool is very light on pocket unlike other BI tools and is provided by one of the biggest player in the IT world. The tool's ability to handle big chunk of data is commendable.Extremely powerful platform with a wealth of data source connectors. Very user-friendly. Exceptional data visualization capabilities. While working with report development at times it is pretty difficult to know if the report is loading or not because of the small wheel spinning at the extreme left top corner of a table which requires efforts to figure out the report processing because of the size of the spinning wheel. Power BI is a very good analytics and self service visualization tool provided by Microsoft. The support is good and quick for the tool. This tool does not stick to a company size. Any company be it small scale or on a large scale can use the tool. Working on a store and sales report for one of Canada's biggest retailer. Working with Power BI has given me a good exposure of other technologies as well. I also got to work on many other technologies like SQL Server Analysis services(SSAS) for tabular modelling with Teradata as Data Source and SQL Server Reporting services(SSRS) for paginated reports with HANA as Data source. This tools give you a hint of the ETL process too during the data preparation. "Great tool for data analysis and visualization"
Power BI Desktop is a great tool for data analysis and visualization. It is perfectly suited for business analysts who want to model their data, analyze it, and present interactive visualizations to stakeholders. The learning curve is not very steep, so it allows you to move from a raw dataset to an appealing end product without too much effort. The drag and drop interface is inconvenient for power users. It would be nice to have some sort of XML configuration that can be used to quickly make changes to properties such as page layouts, visual sizes, and visual colors. This is a great tool that has only been getting better with every monthly release. I am a web analyst and I use Power BI as my primary data visualization tool. It is easy to ramp up on and the integration with DAX allows me to create custom formulas once I've modeled my data. This lets me spot trends in my data and tell a story that drives business stakeholders to take action. "A business intelligence tool analyze data from various sources"
The Power BI can connect with a variety of data sources from Microsoft Excel to SQL server, and which makes it easy to access and automates the data ingestion and wrangling process for the data visualization approach. The downside of the business intelligence tool is the predictive analytics and the machine learning algorithms applications which can make this tool adapt for both prescriptive and predictive analysis. The option of time series analysis is bit complicated and sometimes cannot be implemented and requires extensive manipulation which makes this process confusing. Before using the Power BI refer to the educational resources and the documentation which can help the users to know what kind of operations they can perform using the Power BI. The process of constructing the dashboards is simple and sharing the workbooks among the employees of the organization can be done by just using the email address. The product is a bit on the expensive side which requires a significant amount of resources for implementation. I have applied the Power BI tool to analyze the data to visualize the data and perform the analysis. The user experience of the Power BI tool is simple to use and using the educational resources the beginners can easily adapt using the business intelligence tool. The option of sharing the dashboards and visualizations is the highlight of the Power BI. Microsoft Power BI feels like a better version of Excel. The great enhancement, for me, is the possibility of having several tools to improve my data visualization, allowing me to have plenty of different reports, customized for each project. That, and the possibility of fetching data online as well. I guess I would be happier if it was easier to edit data files. I mean, contrary to Excel, in which we can edit right on time any cell, in a sheet, on Power BI you have to you the console/coding lines or specific commands to edit the data in each cell. Due to this, it is usually better to do some cleaning on Excel before jumping into Power BI. If you are looking for a better way to show your data, Microsoft did it right with this product! Essentially, data visualization problems/challenges. It allows to send reports to customers, as well as work on specific tasks inside the organization (like evaluation processes and its individual reports). "Power BI has literally altered the way business is done and how data is analyzed and utilized." Everything - I like the open source mentality that Microsoft has taken with Power BI. I think that is what has made this such an effective product - they get their feedback directly from the consumer and implement the ideas. Excellent approach. I love the versatility of the software the most. There's very little it can't do with data. The backend Power Query environment is wonderful to work with. The Power BI community is wonderful to work with as well. You will not find one more engaging and supportive. There are some little basic features that would be nice to have. (print formatting for pages, sharing of reports from desktop, PDFs, etc...). The documentation for some of the connectors could be a little more descriptive (i.e. web connector). Other than that - the resources available for Power BI are endless. You have absolutely nothing to lose by trying it! Even the basic free features offer more than standard Excel. Even the Pro investment is cost effective. Able to be used by ANY size business. 1 person or 10,000. We have implemented Power BI so far, in four of our divisions. One company is using it to track growth, sales development and opportunities, sales rep performance and much more. Another is using it for Research and Development to analyze new product development. Another is using it for core, operating reports for finance and other specific-to-us business needs. "Great Starting Point for BI"
Power BI Desktop is free to use and learn when getting started. It supports up to 70+ data sources, monthly feature updates, and bi-weekly patches. Microsoft is taking feedback from the community and incorporating that feedback into the product. Anyone can download Power BI Desktop and start working with it for free. Sharing dashboards and deliverables will require a Pro license. Limited distribution for on-prem solutions. They just release a feature update where you can integrate dashboards into your SharePoint sites. The downside is with licensing, you have to have a Pro license in order to drill down into the dashboards. At $9.99/month/user it can add up when you need 500+ people to look at things like KPI or P&L reports. Overtime I think the development of the product will make it easier to work around this. Customization of the dashboards are limited, you can't add your company logo or branding like you can with SSRS. The direct competitor to Power BI is Tableau. Power BI is free to check out so you don't have to be tied to any trail or demo periods. I would download it and give it a spin. It's good for issues where you have many sources of data and you want to combine them and drill down into them without having to spend a lot of money on a full blown BI solution. This software works well for things like KPI, P&L, and analyzing costs and sales. We use the map feature where you can show a given metric on a map and see where your cost or sales are by location. We had made several attempts at incorporating BI visualizations into our analysis but Tableau was out of our reach and SAS BI was too complex for the majority of our users. For us then, Power BI was eyeopening because it connected to all of our data sources and within weeks we were using the drill-down functionality to do visual analysis that we weren't previously capable of. There is complexity and we have a couple of developers who dedicated themselves to learning the specifics and intracacies of DAX code and whom regularly download the latest updates to say current but for most users it is pretty straight forward. As other reviews have stated, it is not easily shareable. For our purposes, each analyst has their own copies of analytic dashboards and we have to make special versions with pre-loaded data if we need to present out. Also, while it is very nice that they keep adding features, as our developers incorporate new functions, all users have to individually update their Desktpop BI. We're approaching 90 analysts so this is becoming cumbersome even if it only takes a couple of minutes. For our purposes Power BI has been a great tool and an excellent introduction to BI in general but it does belong in the Self-Service category for now until it is more enterprise-friendly to compete with big boys. We have been able to directly connect to a number of data sources which have allowed us to move beyond Excel and Access and also to build datasets from record-level to aggregate-level and then drill back down making new connections and outliers more readily identifiable. I love how easily it connects to a different platform and easy to import data to your tool so you can play around with it and create dynamic charts, graphs, and reports. Its great that you can download add-ons and different graphs from the store as well. There are some limitation in customization the charts and graphs the way you like but I am guessing with Microsoft is working on further enhancements on those. Microsoft finally has a great dashboarding tool that is heading in the right direction. Its full of possibilities and what you could do with your data. "Power BI - Great Data Visualizer"
The Power BI tool provides an easy method to create reports and dashboards to visualize your data. This allows you to present your data in a way that the raw data cannot, especially to those who need a graph or other visualization to understand the information. Also, you have the ability to use either static information or link to a server to provide live data through direct query. The product still seems so disjointed and incomplete. It is disjointed because you can do many features within Power BI desktop, but you still need to login to Power BI service in order to do simple tasks such as share a dashboard or report add row level security. While it is nice the product receives monthly updates, it is still lacking in many features. The interface still looks like it is from Office 2010 and does not have a modern interface. There is no way to easily choose a theme for your project. You either use the dull default theme or have to find/code a JSON file to bring to customize the theme for your project. There are still areas where you will need to use some DAX code to complete a task, however that seems to be minimizing more and more with each update. Another downfall of the product is that it is not updated through Windows update. In order to update the file, you are notified in small text in the lower right-hand corner of the software. From there you are directed to the Power BI website to download the new version of the software. Another pitfall is you are unable to combine static information and live (direct query) information together. Power BI Desktop provides many useful tools and features. However, it is not a finished product as it is being updated constantly. While it is great to have new features added on a regular basis, it is also frustrating to work with a software that is constantly in flux and incomplete. Power BI allows us to create a dashboard with live information that is broad as well as unique to each location. By utilizing row-level security we can create one dashboard for everyone, but users are only allowed to see information based on their permission level. "Easiest and fastest way to create stunning reports"
It is free! Really, the desktop editor without publishing is free and very easy to use. PowerBI Desktop has many different connectors for datasources, from excel to sql and even PDF Files. Currently nothing, besides some small bugs. Readc the patch notes every month, because they always add a ton of features. And use also the powerbi forum, there are many great tips and tricks! I create and shape datasets from many different sources, add some analytic functions and visuals. Some Reports are only for me, and the rest for the company (which are getting uploaded to the cloud). "Transition from Reporting Services to PowerBI"
Integration with a lot of sources. Templates give you a good headstart. User friendly, functional users can develop own reports. Low maintenance. changing sources and data structures is easy. Allow different levels of hierarchy to see same report but different information. Licensing. Users also need a special license. Lacks functionality to be 100% Ready. Cleaning the code is not easy. You have to make a mobile version and a desktop version for reports being used on both devices. Graphic Scorecards with dynamic options. Mobile reporting on a portable devices. "I didn't even know I had all this!" Start with your data and a vision. Once you know what you're trying to do or looking to create, it's a breeze! I'm using Microsoft Power BI Desktop to create reports for my SharePoint Site. Some reports are very specific and some are broader. Power BI has allowed me to develop very impressive, eye-catching reports to different audience levels in my company. "microsoft Bi is powerful tool for create management dashboard"
in our field creating management dashboard to control our project is necessary. one of the best tools that have a lot of ready features, is Microsoft BI. easy to use and fast. appreciate Microsoft for that. i don't like it's format . it's design not beautiful. and it,s not enough flexible. i don't know Microsoft BI support programming tools or not. that is make it very flexible. it one of the best for create management dashboard. that was very useful to convince my manager . we summarize our report and we reported paperless. in one of the my report for control some street activity in our project we had about 20 paper reports. after create our management dashboard we throw them in trash bag. and safe a lot of time and cost. that was very satisfied behavior from our managers. "My experience using Power BI Desktop"
Starting with the unknown that leads to a solution. Not being able to create measures from a Live Connection on a SQL Analysis Server. If you want a low cost way of exploring and visualizing data, you should consider Microsoft Power BI Desktop. We want to provide our customer base a self-service data exploration tool that is more sophisticated than Microsoft Excel. Our expectation of this product is for it to allow us to explore, analyze, create measures, visualize results and share those results with other staff. The biggest benefit that we have realized with this product is that staff are excited to work with their data in ways they did not know existed. Staff are empowered to venture out of their comfort zone to discover new outcomes related to their data. In my opinion, the best feature (and greatest strength) of Power BI Desktop is its ability to create connections with hundreds (maybe, even thousands) of data types. The connections range from simple Excel workbooks, to complex databases, to commonly used consumer products such as Salesforce and Google Analytics. The ability of the Power BI Desktop to connect to data is simply outstanding. It also seems that each product improvement (released monthly) improves the number of data connectors that are available. I dislike the fact that it is not currently possible to link the data between "Pages". "Pages" in Power BI desktop are similar to worksheets in Excel. However, unlike Excel, you cannot reference calculations from one page to another in Power BI desktop. This is frustrating from time to time, especially if you are a skilled Excel users that performs calculations across worksheets. Make sure that your IT team is involved in the initial setup of the product. Installing a data gateway was a bit troublesome for our team. Once we figured out the issues, though, the product has run smoothly. It is also important to stay on top of the updates, which occur monthly. There are always great features added to the updates. They also post a great video online describing all the feature updates. We are trying to use this product to help improve our business intelligence as well as business analytics. Stated differently, we are looking at ways to user Power BI desktop that would help us to operate more efficiently and with more data driven decisions. The analytics portion of our work is important in that Power BI desktop allows us to easily look at time-series trends. Once we have the data connectors and calculations built, the data refreshes automatically and we see almost live-time information. This has really allowed us to bring important information to the forefront of our business. Rather than individual employees running reports to the status of KPIs, we are able to build a report in Power BI Desktop that all can see. I dislike the error messages received, sometimes they don't give much of an explanation to what the cause of the issue is. Power BI is simple and easy to use and quick to set up dashboards for users, as long as your business is collecting the right information it should be simple enough to create a dashboard that can give your business insight into the data collected. It allows our business to dive into their data and help them in making more informed business decisions based of the data. Power BI is a very robust tool. It integrated with the other Microsoft tools will because it is also Microsoft but had connections for virtually every data source. It is inexpensive compared to other BI solutions and is easily scaled. Desktop version is free so you can try before you make the leap to pro. It has so many options and features. Monthly updates with added features and function. The monthly updates make it difficult to keep up especially with in premises deployment to a internal server rather than the cloud service. There is a learning curve with so many features. Measures can be a bit different to build than in other tools. Of all BI tools I think PowerBI is among the best. In the next 5 years they will pull away from others due to their strong foundation in AI and vice recognition. The monthly updates also allow quick response to customer needs and an ever improving platform. Of the 7 BI tools I have used, this is probably the best bet for the future especially if you utilize other Microsoft tools. Everyone wants BI dashboards. Execs want at a glance web based pages that tell them everything at a high level with the portion to drill into the detail. This allows an attractive interface to meet those needs. "A handy business intelligence tool for data exploration and visualization"
The geographic information systems visualization is the key feature that made Power BI a very good Business Intelligence tool. The option of choosing input from various data sources makes the data ingestion process automated. This helps the data wrangling process much more easier when compared to other visualization tools or programming languages. The customer support is the which I most dislike about the service. There are not much community users for the Power BI when compared to its competitors such as Tableau, MicroStrategy. Moreover, there are late in adapting to the latest updates when comparing to its peers. If you are looking for a traditional business intelligence tool i.e. prescriptive analytics then Power BI meets your requirements. Moreover, if you are looking for association analysis and predictive analytics then Power BI is not a preferable BI tool. In addition, the service is on a bit expensive range when compared to its peers. I am able to present information and share with my team and leaders visually and update the numbers so they update or play the change over time. Some times when I try to access the large data set on Power BI desktop, it freezes. "A simple data viz tool." I really enjoyed the dashboard sticky tile layout design. It makes creating dashboards much more convenient and you can line up everything perfectly. The lack of customization is a real setback for me. It really could use more options when it comes to adding titles, hiding things on a graph, and adding measures the way that other tools are able to do. I think that it needs some time to mature, but for the cost, it's a great tool. Creating dashboards that show a products health over time and to gather quick statistics about that product. I like how easy it is to create visuals, once you have the data pulled in. There are also a lot of different types of visuals, which allows us to customize our dashboards to display our information in the best way. It has a very steep learning curve, specifically pertaining to working with the data in the Queries. Power BI uses both DAX and Power Query M, which are different that excel formulas. It took me and my co-workers a long time to catch on. Power BI is allowing us to pull data in for all departments and analyze it in an efficient manner. It allows us to be transparent and push the data out to all teams, so they are all able to use the same data to make data driven decisions. "best free visual dashboard creator tool"
I like that it's free and I can use it to build basic visual dashboards. You can't share a dashboard unless you have the pro or more versions of the product. Even if you have the pro you still can't share a dashboard with someone that doesn't have pro. keep in mind that sharing is not very easy. You need to pay or share the file itself with others where they have to download it and open it locally. Its very user friendly. Any person without much knowledge of writing queries can build them in Power BI. Very impressive graphs. Drill down functionality is provided. I like the part wherein we can see the actual data that makes the graph. So if we have some discrepancy in data, it is easy to see which data is causing the discrepancy. Any upgrade or changes to the query can be done pretty easily . Also a change in the data source can be done at one point and all graphs will be updated automatically. It is easy to integrate into any iframe. This software is great for any company which needs data refreshed once in a couple of hours. Its easy to display the dashboards on large monitors. Each graph itself can be magnified and displayed. Security or any restrictions has to be build in BI itself. It does not take existing user access or permissions from the database. Rebuilding the entire security structure is tedious. Also the row level security feature provided by BI sometimes does not allow users to see any data. It has some sort of glitch. In order to have a real time update, I need to install MS Embedded and Azure in addition to Power BI. I cannot filter the results in slicer. i.e. Power BI does not allow the slicer to show only the last 5 years by default and then allow the user to select remaining years. Management reports are more user interactive. Its easy for managers to see the data and analyze it without much help from IT department. Since the graphs also provide the data, the user can download the report in excel. The graphs are beautiful and pretty impressive hence the sales team found it very useful. Nothing beats Power BI on analytics capabilities. If this is what you're after, Power BI is the right choice. "Just Like the Others At a Fraction of the Cost"
Ease of use. Many data sources have a built-in connector already set up. You just client the connector, walk through a few easy settings & boom you have your data. Building out your reports is just as easy and intuitive. Click and drag: that easy. Many of the data connectors I need are not built in. SO I need to find work arounds to visualize and aggregate my data. Stick with them. They are constantly puttin gout new features, connectors, and more. The staff at Microsoft is also open to suggestions. If you have something you need, request it. They put out updates monthly! PowerBI desktop is lighter weight than Excel and has various visualization tools. Good tool for testing out visualization ideas, combine data for reporting, and creating reports. No plugins required for the desktop version. The dashboard visualizations are very good. When using PowerBI through Office 365, it needs plugins and silverlight to render reports. Also, it is slow when working with larger datasets. Another thing is that the Office 365 version of the PowerBI is not as easy to learn as the desktop version. The compatibility with CRM is also lacking, there is no supported method to view CRM reports and dashboards within CRM application. Keep file size to no larger than 250mb, and you need good data to generate good results. PowerBI is a useful tool for creating quick reports and professional graphics. Power query is also useful for data research. "Power BI is a powerful program!" I enjoy Power BI due to the powerful visualizations it offers to assist in displaying a variety of different information just from a data set. There is a large learning curve in the beginning but, nothing watching a few you tube videos or Power BI's training sessions won't fix. Watch YouTube videos, learn the Dax coding language that is a part of Power BI and you will learn some really powerful techniques to maximize what you get out of this program. "Power BI!!! So much fun to learn"
I'm a new user to Power BI, I've come across lot of interesting facts about visualization and data analysis. As a Supply Chain professional, recently I started learning about BI tools and a friend of mine suggested me to learn Power BI. I really loved the way a simple data can be turned into visualization without any coding involved. I can easily analyze any amount of data set into a beautiful report. I'm loving it. There is nothing much as of now that I can say about Power BI which I dislike. Only thing I found was I could not remove the filters applied on columns without having deleting the entire task in edit mode. I'm hoping for a fix soon. I use Power BI mainly to work on large data set which needs a visualization and make a report of it. It makes my work easier. "The fastest way to churn out reports through dashboard"
The ability of the software to convert reports to useful dashboard with live updates from the source. The limitation to share the output of the dashboard to Pro users. This limits the unique ability of Power BI to slice and dice the dashboard information in real time for the end users/recipient of the dashboard. Purchase Office 365 and depending on the size of organization, do subscribe to Pro license. Instant updates from source. Daily/Weekly/Monthly updates can be instantaneous and no longer require input or creation from analysts. "Nice Program with Strong Future but still needs work"
It was very easy to take data from other Microsoft sources including SQL, Excel, Access, and more and manipulate and present data in exciting ways. Still a very new program that is rolling out updates often, there are still some functionality that is missing or does not work as easily as I would like. My least favorite from a user experience point of view is having to right click to drill down through reports and dashboards while double clicking is much more intuitive to the user. Our IT chose Power BI because of the cost when included with a enterprise level 365 accounts compared to prices of other tools. The other popular BI tools are probably ahead of Power BI now but they will not be for long. Able to easily extract data from multiple sources and departments and share it in one place. We can control the KPIs and dashboards to keep the focus where the executives want it instead of each department having their own. "Power BI Desktop is a great way to visualize data in interesting and useful ways." Nice that it's native Microsoft and connects easily to all of the Office 365 package. The UI is pretty good for something so complex, but it could still see improvement. Compare to Tableau and other data visualization platforms. Data visualization for reporting and dashboards within the organization. "Excellent and detailed business presentations"
I like the reach that this software has to create dynamic dashboards, very complete reports and I like to make an excellent impression the different departments. I know this will get better and better. In some cases it does not relate the tables automatically. this is the next step of business presentation and reports. Schedule daily, weekly and monthly dashboards automatically with specific data to different departments. Easy to use, quick to get started. End-user data is presented in a visual format that is easy to understand. Very powerful for KPI's and metrics. Connectivity to a variety of database services. It is easy to get started and you can only expand with community and amount of help that is available. "Easy to pick up the basics"
This software was easy to pick up and turn a spreadsheet of data into an interactive visualization. There is a slight learning curve, as with any new software. One issue I ran into was that all the built in QTD, YTD, TTM measures were based on a calendar year but we are a fiscal year end. "Unbelievable Options for Data Visualization"
Microsoft Power BI offers an extreme breadth and depth of analysis options. This software offers simplified data visualization with accessible, beautiful charts and graphics. Dashboard tiles are easily shared, adjusted and changed. This software's formulas are a very different language than Excel, which means a complicated, difficult learning curve. It really takes time to adjust to and it is easy to mess up and "break" queries. Attend a Dashboard in a Day workshop (hosted by Microsoft) and learn everything needed to get up and running with Microsoft Power BI in no time. Data visualization is very streamlined with Microsoft Power BI. "Great internal BI dashboard! Hard to share externally." Easy to use with graphs that look much more polished than Excel. Graphs are far easier to set up than excel. Not easily shared with people outside of organization. It is also a bit strange navigating the desktop version and the online version and when to use each. This product is really cool way to visualize your data. It has many options for customization, which makes it very versatile. For me, the ability to upload mapping tables to combine multiple data sets is a big help. It is an easy way to quickly visualize data and gain insights to my business goals. "Definitive Data VIsualization and Analytics tool"
Power BI is the best in class solution for Data Visualization and Analytics, with seamless integration to Microsoft suite such as Azure, Sharepoint and others. "Great for local analysis but not enterprise"
Speed of data, graphing abilities. Connections to about any data source you can think of. Costly to implement company wide. Hard to secure data sharing. Not web based. Take yoru time and get some training. It is not the most obvious to use tool out there. Analyzing data and predicting trends. The ability to include local excel based data into reports for trending and KPI predictions is very beneficial. 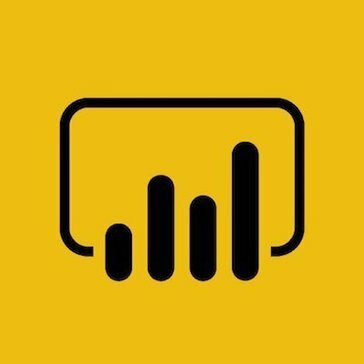 Power Bi its a very versatile BI tool, with a lot of connections, easy report construction and on top of all of that, its free! A very few social networks connections to make. Its free to try and its a very good BI Tool. I think everyone that its looking for a BI tool should test this one first. I had a huge problem on reporting to my boss. I used to use Dynamics CRM and excel to report, now i have all connected directly to Power BI and they update my data automatically. "Delivering interactive dashboards and reports in a short amount of time"
Ease of use to start iterating on data quickly. Also like the monthly releases and pace of software updates. Some of the visuals and end-use interactions could be improved upon. Make sure to have a good data person - someone comfortable with databases and modeling (true really for any BI tool I suppose). Operational insight. Making decisions based on data. Benefit from ability to interact with data and see historical trends. "Power BI is a great way to quickly build beautiful dashboards"
The built-in formatting of Power BI is really beautiful. It's a user-friendly experience that produces very eye-pleasing exhibits. I have found that applying query structures can be a bit time-consuming on occasion. The auto-recover feature doesn't work very well, and you cannot save files to your desktop. I would recommend taking the "Power BI Dashboard in a Day" training that's offered by Microsoft at no cost. We use Power BI internally to create reports. It's a well-known tool now and allows easy editing. "Power BI for reporting across different applications"
The lack of export options. It seems that PowerBI is a standalone product and would be good if you could integrate into SharePoint or other web based systems. Consider setting up a trial tenant before commiting to the full product. The free version is limited in features. Senior Management wanted reporting across all of our applications. PowerBI was the able to provide this for our organisation. Being an IT focused organisation, our directors are keen for us to use the latest technologies so that we can offer these services to our customers. "Low learning curve - Power BI Desktop"
All new features, such as Quick Measures (that write complicated DAX formulas for you) and Power Query (that automatically consolidated data from multiple sources). Difficult to share dashboards without Office365. Some of the visuals are still not as advanced as Tableau, and some of the formulas are limited like concatenate only doing two items. It is a great program and easy to learn and make great dashboards. Somewhat limited right now, but constant enhancements. data visualization and interactive dashboards of data. I have experience with a few data visualization tools and believe microsoft power bi to be one of the best since it is integrated with the rest of the microsoft suite. ensure this is compliant with your organization OR with the organization you're working with. i have had problems with client organizations before. quick data visualization; able to refresh and analyze of new information within sections. I like that you can pull data for various sources to create a output, such as a report. you can have visual charts to represent the data. I dislike that it sometimes stalls or fails with larger excel files. it's definitely a great tool to use. Learning about Microsoft Power BI Desktop? * We monitor all Microsoft Power BI Desktop reviews to prevent fraudulent reviews and keep review quality high. We do not post reviews by company employees or direct competitors. Validated reviews require the user to submit a screenshot of the product containing their user ID, in order to verify a user is an actual user of the product. Hi there! Are you looking to implement a solution like Power BI Desktop?